Some of the most exciting times happen a couple times a day at Discovery Village. 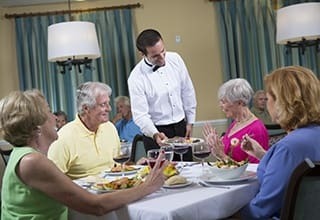 That’s when residents sit down in the Sensations dining room to enjoy healthy, delicious meals complete with friendly tableside service from our gracious culinary team members. 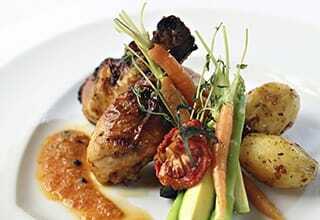 Our Executive Chef prepares daily menus filled with international cuisines and homemade favorites to suit every palate. Using the best ingredients available, our culinary team creates mouthwatering appetizers, entrees, and desserts that keep our residents taste buds tingling. You'll also love the selections during themed parties and other special events. 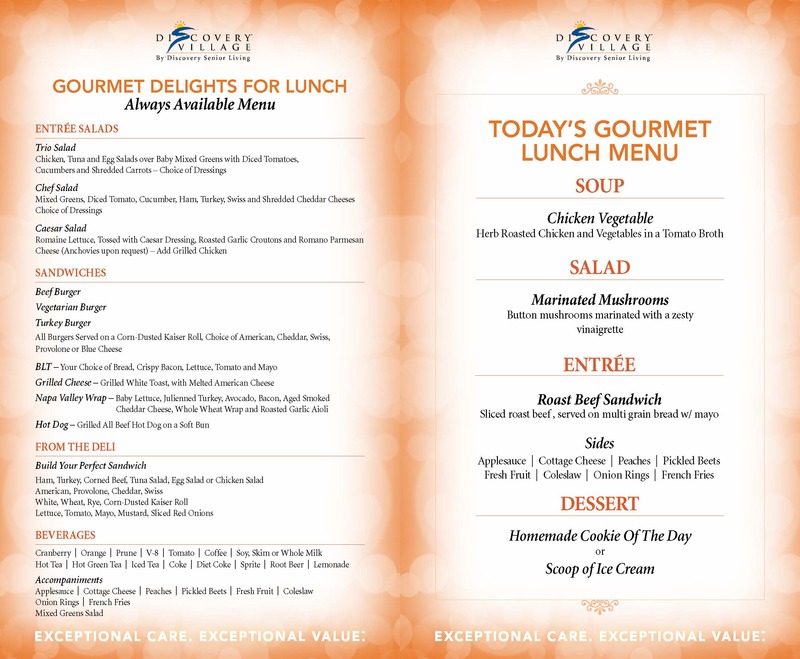 Check out our sample Lunch Menu! 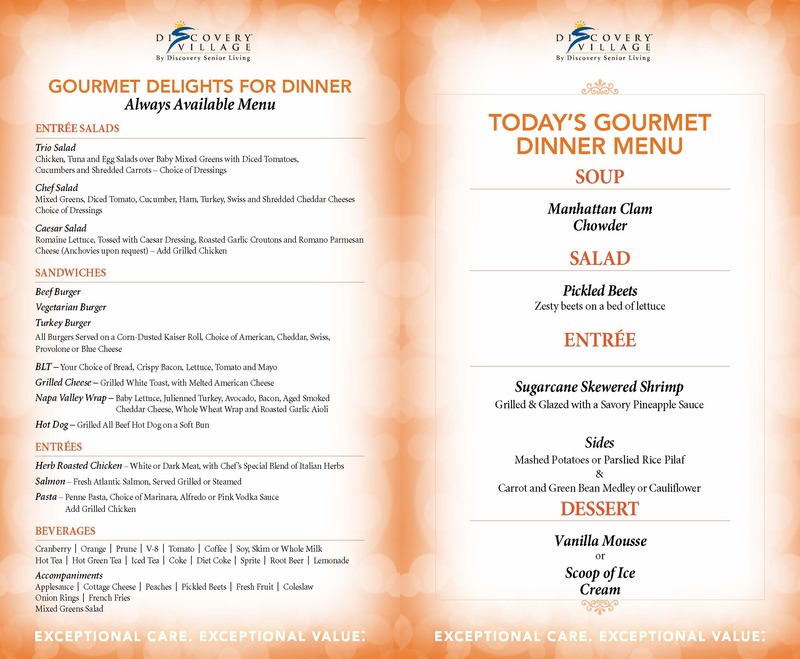 Take a look at our sample Dinner Menu! Learn more about Celebrations Activities.